Kerala, which was hit by massive floods in August, will be given Rs 30.48 billion as an additional assistance from the National Disaster Response Fund (NDRF), officials said. Besides, Rs 5.39 billion will be given to cyclone-hit Andhra Pradesh and Rs 1.31 billion to Nagaland, which was also hit by floods. A High-Level Committee, headed by Home Minister Rajnath Singh, Thursday approved the additional assistance of Rs 30.48 billion to Kerala, Rs 1.31 billion to Nagaland and Rs 5.39 billion to Andhra Pradesh, a home ministry spokesperson said. 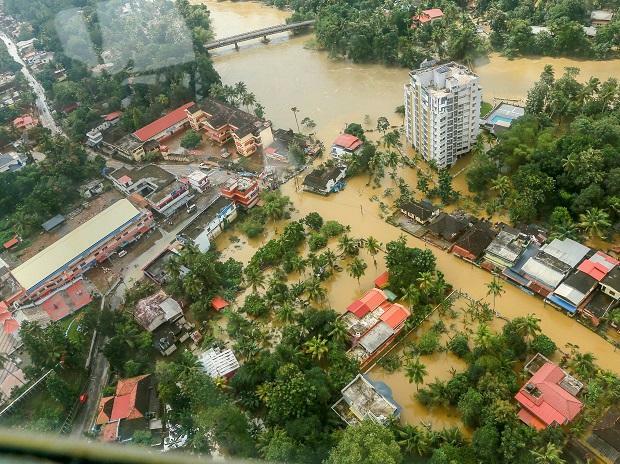 The Kerala government had sought Rs 47 billion as compensation from the central government for the damage caused by the floods, which was termed as the worst in a century. At least 488 people died in Kerala due to the rains and floods this monsoon, which hit 14 districts of the state. The meeting of the Committee was held to consider the additional central assistance to Kerala, Nagaland and Andhra Pradesh, which were affected by floods, landslides and cyclone ‘Titli’, respectively. Those who attended the meeting include Finance Minister Arun Jaitley, Agriculture Minister Radha Mohan Singh, Union Home Secretary Rajiv Gauba and senior officers of the Ministries of Home Affairs, Finance and Agriculture. In case of any natural calamity beyond the coping capacity of a state, the state government submits a detailed memorandum indicating sector-wise details of damage and requirement of funds for relief operations of immediate nature, another official said. As per the existing guidelines, the central government sends an Inter-Ministerial Central Team (IMCT) for an on-the-spot assessment of damage and additional requirement of funds. The IMCT report is considered by the Sub-Committee of National Executive Committee (SC-NEC) headed by the Union home secretary in conformity with the norms and then by a high-level committee, chaired by the home minister for approving the quantum of additional assistance from the NDRF. The financial mechanism to meet the rescue and relief expenditure during any notified disaster event is governed by guidelines pertaining to State Disaster Response Fund (SDRF) and National Disaster Response Fund (NDRF), the official said.